Follow Finn as he gets into a spot of bother with some plastic he finds on his adventures. And hear about the excellent plan his friends come up with to help him! 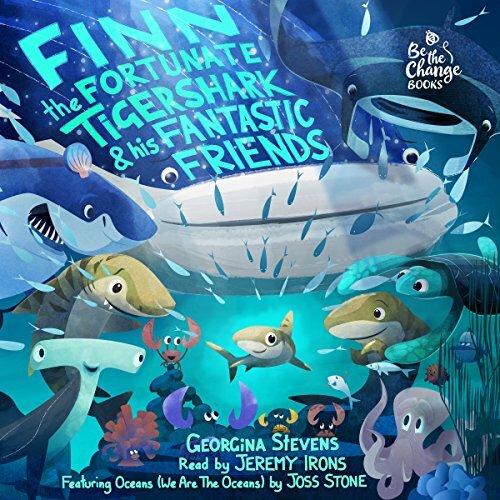 A story of fun, friendship and how we can all help to keep our ocean friends happy and healthy. All profits from the book and audiobook will be split between Greenpeace and the Social Plastic Foundation. Featuring "Oceans (We Are The Oceans)" Performed by Joss Stone, The Ocean Foundation. Written by Oliver Jacobs, Gabrielle Feldman, Aidan Martin.